Aon’s global mining practice leader Paul Pryor told Fin24 on the sidelines of the 2019 Investing in African Mining Indaba that action from the South African government to mitigate reputational risks would go a long way in putting mining investors at ease. The mining practice leader of one of the world’s largest risk solutions companies was speaking to Fin24 on Wednesday morning in Cape Town. While Aon puts their logo on the Manchester United Football Club jersey, they assist a number of companies in terms of setting up mining operations across SA. Pryor told Fin24 that Aon’s mining portfolio in South Africa was extensive and that it advised them on various risks. "Mining is a risky business. Underground commodities, especially coal, have a risk. Mining companies have learned how to operate in high risk environments without anything disastrous happening," said Pryor. Pryor told Fin24 that one of the legitimate concerns that mining companies had in South Africa was uncertainty in the longer investing environment. He said miners were especially exposed to uncertainty as a risk, since mining investment was long term by nature. "You want to invest in an environment of certainty. (President Cyril) Ramaphosa is right to move towards giving us certainty. There are a lot of mineral resources in South Africa with potential for good, so interest in local mining is still high. We need action to match the message," Pryor said. He said progress had been made in addressing uncertainty through the latest version of the Mining Charter. He said the previous version of the charter was "restrictive and vague". He said the troubles that have dogged state owned entities looking to partner with mines presented "reputational risk". "It all comes down to reputation. Eskom needs money, it has been the subject of inquiries, and it has been implementing load shedding. These things certainly present a reputational risk. Transnet has had derailment challenges for some time, but we are confident that these reputational risks can be addressed," he said. He said mining companies were currently "upbeat" about investing in South Africa, especially in the areas of exploration and expansion. 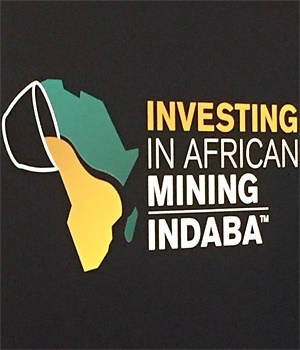 He said, however, that they were counting on the stability promised by Ramaphosa and Minister of Mineral Resources Gwede Mantashe at the Indaba.